If the government has anything to do with it, privacy just got a whole lot worse. What the draft Investigatory Powers Bill holds for everyone is exactly what all the criticism was about in the first place – except it attempts to make it lawful. The Bill proposes that instead of deceiving every citizen in the UK it will now simply admit to carrying out mass collection of our data and still hack into and bug our personal devices such as computers and smart phones. It’s the Snoopers Charter but as previous attempts were rejected, the Home Secretary is having another stab at it. Same thing, different words. We already knew that the security services were doing this but instead of storing all this information, they now propose that ISP’s or internet service providers capture, or steal – depending on your view, every single online movement you make and hand it over to whoever, whenever. Specifically, the security services, the police and “other public bodies”. We are talking about every single internet user as well, no exceptions; your mum, aunty, granny and your little daughter. Well, just one lucky little category escapes this Orwellian occupation of personal space …. politicians. Of course! And who is the only person who can authorise the hacking of their data – the prime minister. Sounds ominous doesn’t it! Theresa May went as far as to say that she had ‘engaged’ prior to preparing the draft with certain civil liberty groups. Who exactly, because all the civil liberties groups in the UK have gone to great efforts to bring back some of our hard fought-for liberties that were stolen whilst the perpetrators were hiding from public view. The UK not now only has the worlds most sophisticated mass surveillance system, confirmed by the fact that the US uses it because it cannot legally do the same on its own territory, but we now have a system that every despot and dictator since Augustus Caesar founded the Roman empire would aspire to having – literally. The draft Bill provides the power to require ISPs to retain data, but a warrant with judicial oversight is required before that data can be handed over, or for an ISP to assist in a targeted interception. That would be fine but the government didn’t seek to have warrants when it was legally required before it got found out – why does anyone think they should be trusted in future. And why would anyone trust Judicial oversight. One only has to think of judges such as Baroness Butler-Sloss and government stooges like Fiona Woolf and the wide-ranging inquiry into child abuse claims, along with those conveniently lost documents and other such cover-ups. And what of the ISP’s and communication providers. The non stop data breaches of so-called secure servers was called heavily into question not by the huge data losses by many structural corporate suppliers such as banks and utility companies but by TalkTalk, who astonishingly, have managed not only to be hacked three times in one year, but couldn’t be bothered to protect their customers from a bunch of bored teenagers using a rudimentary security hack who took the personal details of 160,000 customers (again). Vodafone was hacked only last month. Again customers bank details were stolen. In February, GCHQ and the US National Security Agency hacked into the internal network of the largest makers of mobile phone SIM cards in the world in order to steal encryption keys and compromise the security of mobile phones on the Vodafone, EE and O2 networks. BT phone lines have been hacked, and if you want to learn how to hack Sky routers HERE’s the information freely available online. Frankly, if you’re not a hacker or not been hacked, you’re a no-one nowadays. Special protections are supposedly provided for certain professions such a journalists, whose need to protect their sources is recognised. But that didn’t stop two police forces breaching a new revised code of practice into protection of journalists’ sources a few months back, this according to a report by the interception of communications commissioner as reported by the Guardian. Surprisingly, there is little of David Cameron’s efforts to completely ban encryption. There’s a reason (apart from the one where they’ve already stolen all the encryption keys). It clearly states that there will be no additional requirements in relation to encryption beyond those in the existing RIPA legislation, which it defines as requiring Communication Service providers (CSP’s) “to maintain permanent interception capabilities, including maintaining the ability to remove any encryption applied by the CSP“. Presumably, maintaining a ‘permanent interception capability’ simply means that ‘back doors’ to encrypted data must be maintained by the CSP’s. There is no good argument for encryption backdoors and they won’t make us safer from terrorism. They might do the opposite and many technical experts agree. To put this into perspective, the 470 local authorities and public bodies that used the RIPA laws, laws designed to catch terrorists, used them to hunt down the non payment of BBC licence fees. In also emerged that more than half of councils in England were using anti-terror laws to spy on families suspected of “bin crimes“. 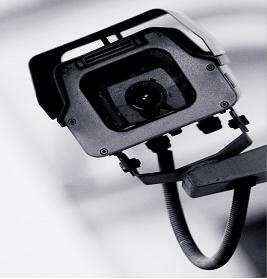 In another, Poole Borough Council admitted to spying on a family for nearly three weeks to find out if they were lying about living in a school catchment area using RIPA laws. So extreme have these ‘public bodies’ become that in Scotland, the anti-terror legislation has been used hundreds of times over the last 3 years for minor offences like parking breaches, dog fouling and even monitoring for underage sun-bed use. This total abuse of laws by government ‘bodies’ is being used for nothing more than population control. The system that the government seeks to adopt does not go much less than the most repressive regimes in the world would attempt to achieve. If it was not for the likes of Edward Snowden, we would not be having this debate as the government would not have allowed it in the first place and therefore any oversight should be independent of government influence. In the 12 years preceding the Invasion of Iraq, 65 people in Europe were killed by various ‘terrorist’ attacks, mainly in France, Italy and Greece. In the 12 years since that fateful invasion, the terrorists kill rate has increased by nearly 600%. Far from making its citizens safer, politicians have achieved the opposite. If the escalation of terrorism in Europe says anything at all, it is that draconian mass population surveillance such as these proposals do not work. With all the surveillance in the world, the so-called Paris mastermind is still on the loose. Don’t forget it took 8 years for the might of the USA to hunt down an old man with a beard living in a normal house next to a military base suffering from kidney problems, low blood pressure, an enlarged heart and serious case of dry skin – called Osama Bin Laden. Was it because, as the worlds most hunted terrorist of all time, he decided not to use the internet? Clever him. It does however, say an awful lot about how our politicians are thinking when it comes to our safety, security, freedom and democracy though, all of which are compromised by powers such as these being given to the authorities.